Lens:Leica Elmarit 24 mm f/2.8 ASPH. With the Leica X-E, Leica Camera AG, Wetzlar, is expanding the Leica X family with a new camera model made in Germany. The particularly compact and lightweight X-E has all the features that characterise a Leica camera: an outstanding fast lens, the best materials and a premium finish. The camera also features an unmistakable design that, in the case of the X-E, is further emphasised by special details – like the titanium look of its body and control elements matched to its silver lens. Leather trim in the colour metallic rounds off its elegant looks. With technical specifications based on the X2, the Leica X-E has a professional APS-C-format CMOS sensor with over 16.5 megapixels (effective 16.2 megapixels) that ensures maximum picture quality, natural colour rendition and richly detailed pictures. Its CMOS image sensor is unusually large for a camera in this class. Despite its high resolution of over 16 megapixels, each individual pixel on the sensor is very large and therefore gathers more light. The benefit of this is low image noise, a high dynamic range and accurate colour differentiation. The crop factor of the sensor is 1.5 in comparison with 35 mm film format. 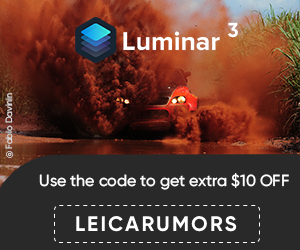 This means that the Leica Elmarit 24 mm f/2.8 ASPH. lens of the LEICA X-E becomes a universal reportage lens with an effective equivalent focal length of 35 mm in 35 mm film format. This is considered to be a classic focal length amongst prime lenses and has captured innumerable iconic images. The moderate wide-angle character and natural rendition of dimensions by the high-performance lens of the X-E open up a broad spectrum of different options for capturing those decisive moments in outstanding authentic and richly detailed picture quality. Thanks to its simple operating concept, the Leica X-E offers clearly laid-out functions and intuitive handling. At the same time, it offers an impressive range of automatic and versatile manual setting options. Thanks to the ease of switching between manual and automatic control, photographers can concentrate completely on composing their subjects and choosing the decisive instant to shoot in any situation. What’s more, its fast autofocus enables exceptionally precise and nearly inaudible focusing. All this makes the Leica X-E an ideal companion for capturing fantastic pictures with sparkling quality in even the most spontaneous situations. In live-view mode, its generously sized, high-contrast 2.7" monitor offers photographers constant control of composition, framing and exposure. The elegant design of the Leica X-E is dedicated to compact ergonomics and ease of use. At the same time, its lightweight but rigid full-metal body lends it particular robustness. The use of premium materials in its construction and its finishing with a passion for details make it a genuine Leica camera in both look and feel. 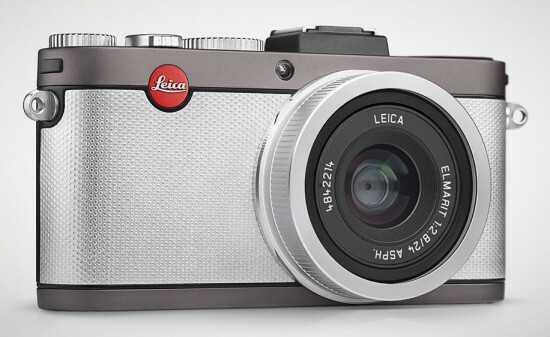 The Leica X-E is now available from authorised Leica. This entry was posted in Leica X-E and tagged Photokina 2014. Bookmark the permalink. Trackbacks are closed, but you can post a comment.